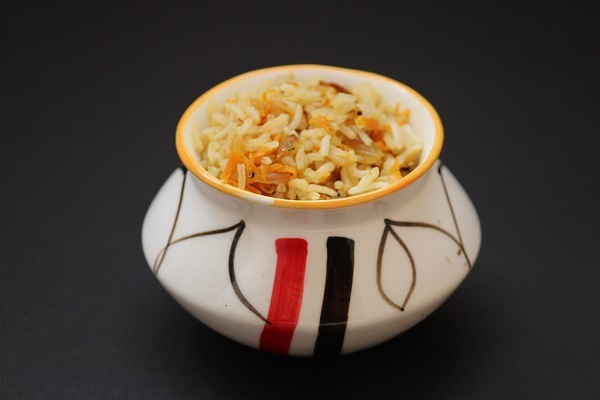 Today’s recipe is an easy and tasty rice dish which kids would love to have it for their lunch – carrot rice. This rice dish has got a sweetness of carrots, crunchiness of nuts and with less spiciness, this definitely will be kid friendly. More over, it is very easy to prepare too. 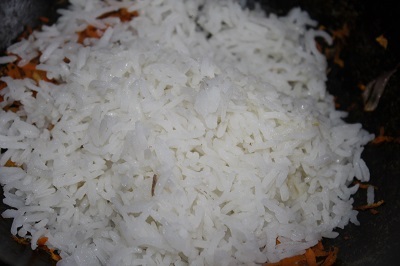 Here, I have made use of Basmati rice for the preparation, you can also try other rice varieties for making this dish. I have already shared the recipe of cabbage and carrot pulao, do take a look. Now to the recipe..
1. Cook rice with little salt and oil. Spread it on a plate to cool and grains get separated. 2. Heat oil in a pan, add cashews, roast till it changes color and keep it aside. 3. In the same pan, add the items listed under “for tempering” except cashews. Saute for a few seconds. 4. Then add onions, ginger garlic paste, and saute till onions turn slightly brownish in color. 5. 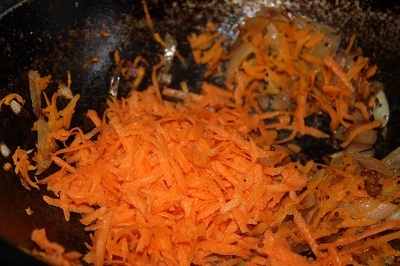 Next add grated carrots and saute till raw smell goes off. 6. Then add salt, red chilli powder and garam masala. Saute well. 7. Add rice and mix well. Finally add cashews and cook for 2 -3 minutes. Garnish with coriander leaves. 8. Carrot rice is ready. 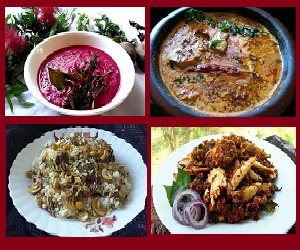 Serve it with raita.. If you find this post useful, I would be extremely happy if you can share it with your friends in google+, facebook and twitter. All you have to do is click the corresponding button.